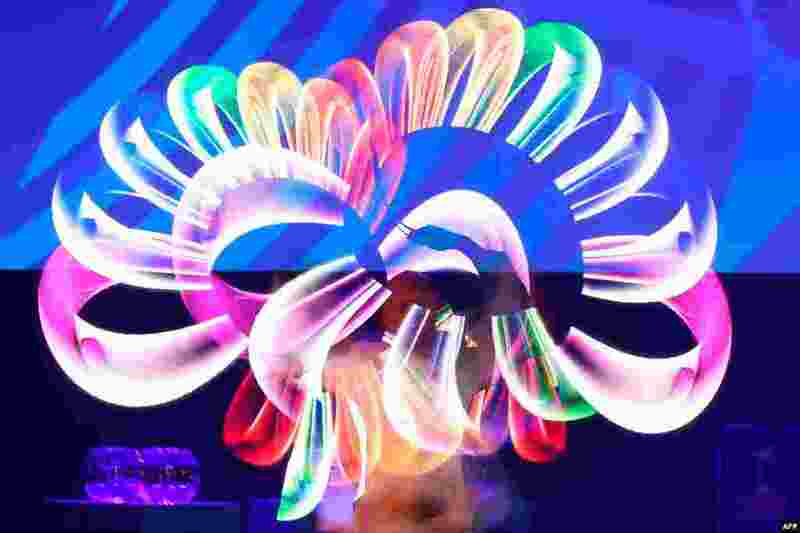 ١ An artist performs on stage during the FIFA U-20 Women’s World Cup France 2018 draw ceremony in Rennes, western France. ٢ Saudi woman Nouf Khayat, a Zumba instructor, jumps during a running event marking International Women's Day in Old Jeddah, Saudi Arabia. ٣ Lin Xiwei, a 36-years-old shoemaker from Putian, dressed as a local deity performs the "eating flowers" ritual in Xiaohu, Baitang, in Fujian province, China. 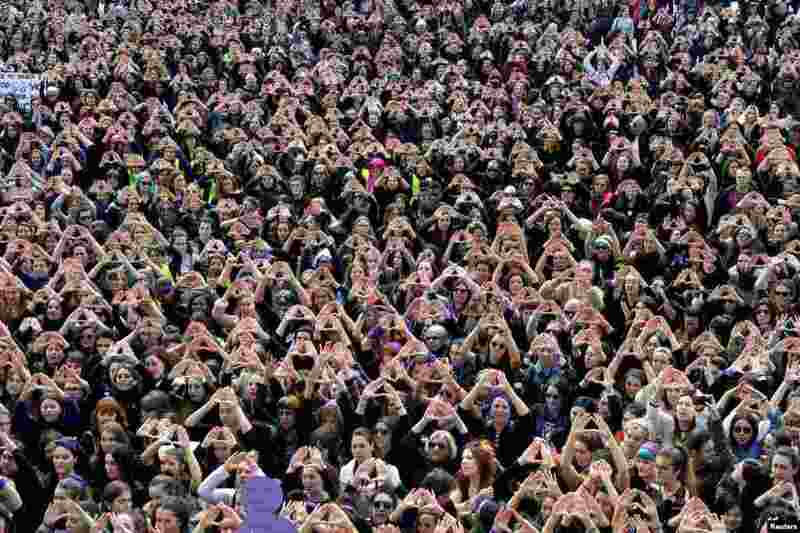 ٤ Protesters form triangles with their hands during a demonstration for women's rights in Bilbao, Spain, on International Women's Day.